Let’s be honest: most movies based on games are terrible. Street Fighter, Super Mario Bros, anything Uwe Boll has directed – need we go on? But what about games based on movies? How do they fare on the quality scale? Well, while quite a few are cheap and cynical cash-ins, there are actually quite a few decent movie-based games. Check these out! From way back in 2002, a sequel to the original film although the premise is basically the same: you’re a poor sap trapped in an Antarctic base with a shape-shifting alien nasty, and the only thing you can trust is your friendly flamethrower. You’re not completely alone, though. You’re the leader of a squad of equally terrified unfortunates, all of whom could turn on you in an instant due to the game’s surprisingly clever trust/fear system. Your own trust and fear can ruin things too, especially if you end up torching one of your mates on suspicion of being an alien only to find that he wasn’t. Time hasn’t been kind to The Thing’s graphics, but it’s well worth a blast if recent horror games have left you cold. It’s a million times better than The Thing prequel released in 2011 too. 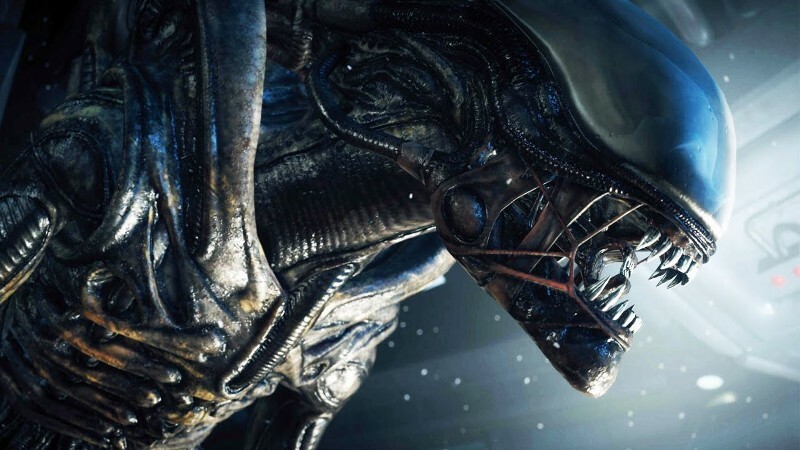 A more recent entry into the ‘oh my word, an alien is about to have me for dinner and there’s nothing I can do about it’ genre, Alien Isolation is a welcome return to form for everyone’s favourite sharp-tongued xenomorph. Loosely based on the first film, Isolation places you in the shoes of Ripley’s daughter, dumps you onto a near-abandoned ship and asks you to survive with little more than a motion sensor and a torch. The alien in Isolation is intelligent, relentless and near invincible, even when you finally get your hands on a gun. As a result, Isolation is insanely difficult – but then again, we suppose surviving a night with a giant alien should be difficult. Turn the lights down low and keep a spare pair of trousers handy. In the wrong hands, The Warriors could have been an absolute disaster. Fortunately, a little company called Rockstar took the project on and it’s every bit as awesome as you might expect. Staying faithful to the plot of the 1979 cult classic, The Warriors sees the titular gang battling their way through the streets of New York as they try to get back to Coney Island in one piece. Along the way you meet and beat the Baseball Furies, the Hi-Hats and, of course, the Rogues. Imagine Streets of Rage mixed with Grand Theft Auto and you’ve pretty much got The Warriors. Yep, it really is that good. The formula for a good The Lord of the Rings game is simple: avoid all the talky-talky bits and focus on the humungous battle sequences. And so it came to be. EA decided to skip out on the action-less Fellowship of the Ring and adapted The Two Towers as their first tie-in. The game was a mix of Dynasty Warriors and Golden Axe, and featured the Battle of Helms Deep. In short, it was excellent. The Return of the King, much like the movie that inspired, took the previous game and made it bigger, better and even more epic. You’ll struggle to find better battles in a video game to this day. It’s rare that a game based on a movie can outshine the movie itself, but then GoldenEye 64 is a rare kind of game. 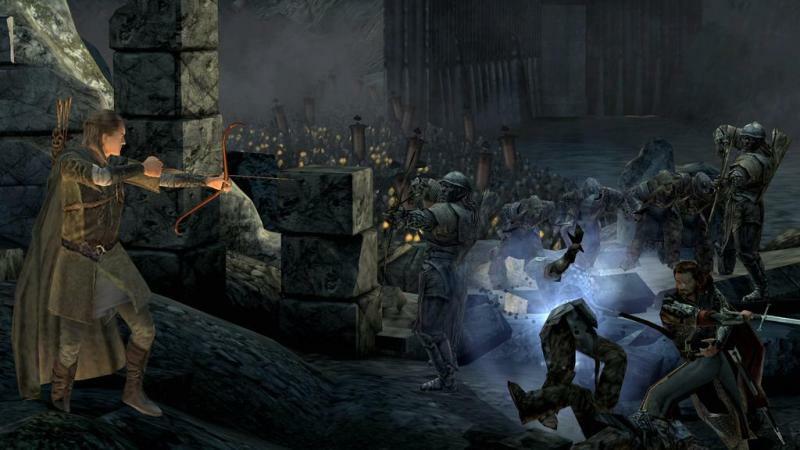 Not only does its reputation far outweigh the film that inspired it, but it more or less launched the console FPS genre. Call of Duty, Halo and countless others owe their existence to the success of GoldenEye’s multiplayer mode. Ironically, GoldenEye is actually a fairly terrible representation of James Bond. While our favourite secret agent favours sneaking and smooching the ladies, the Bond in GoldenEye has no qualms about throwing grenades indoors and generally making as much noise as possible. The Star Wars prequels aren’t everyone’s cup of tea, but they did spawn at least one good thing: the Revenge of the Sith video game. Okay, so it’s not exactly groundbreaking. But it did give us what we’ve always wanted from a Star Wars game: running around, hitting stuff with a lightsaber. No pod racing, no Ewoks: just good old fashioned lightsaber action. The most recent title on this list is also one of the best. Inspired by the brilliant Mad Max: Fury Road, the Mad Max videogame sees you speeding around the Australian outback trying to find Max’s Interceptor, as well as parts for his new car, The Magnum Opus. Unfortunately, a chap called Scabrous Scrotus (the son of Immortan Joe) and the War Boys pop up to ruin your day, which is basically an excuse for lots of car chases and vehicular combat. Excellent. How do you turn one of the greatest movies of all time into a game, especially when that movie doesn’t have much in the way of action? Easy: you rip off Grand Theft Auto and replace it with characters from said film. The Godfather is more or less GTA with the Corleone family, with players taking the role of a young Mafioso hoping to become a made man. Despite its lack of originality, The Godfather is still a lot of fun. It was also Marlon Brando’s last acting appearance. Selling games with musicMagpie is easy; just get an instant price, pop them into a box and send them for FREE. Click below to get started.